Me and le bf been doing cross stitching since 8pm. Bought these cross stitching kit for over hundred ringgit. Is it an expensive hobby or what. 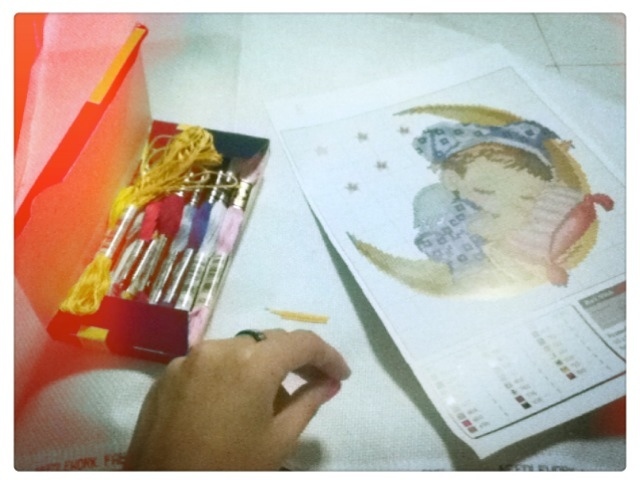 I'm stitching the male angel and he's stitching the female angel. Lol. Don't know how will it turn out like.